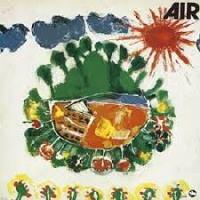 Percussionist Yuji Imamura is a nominal leader of the group called Air, which had been formed shortly before this recording, but he says in the Japanese liner notes that the group is completely democratic and everyone participates in the same footing. This album was recorded in two days, and the two tracks included were performed "live" in the studio with no editing or overdubs. And these are completely free collective improvisations - they did not have anything written down and just started playing. The only constraint was the time limit of about 19 minutes for each track to be cut on a side of an LP. The unique group sound was achieved by the use of various instruments by each musician, including electric instruments and effectors. Produced by Takeshi Fujii. Recorded at Epicurus Studio in Tokyo on April 12 and 20, 1977. Blu-spec CD is compatible with all regular CD players. Paper sleeve special limited edition.